Olga Nikolaevna (1822–1892), later Queen Olga of Württemberg, was the second daughter of Tsar Nicholas I. 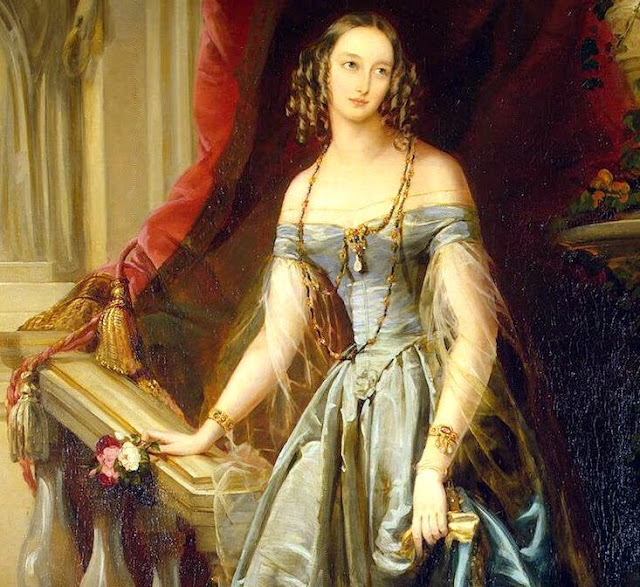 In 1846 she married Charles I of Württemberg, with whom she had no children. Last month I posted a painting (by the same artist) of her sister Alexandra Nikolaevna.